The most important service we offer, and you should expect, is customizing the engagement around you and your goals. 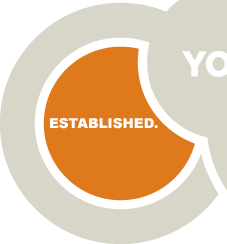 Because every first generation entrepreneur is unique, our services are personalized to you. We start by understanding who you are as an entrepreneur by identifying where you are in your business today, and where you want to go. After taking a good look at your goals and gaining clarity around how they all fit together, we thoughtfully handpick services designed to help you succeed. How do I hire people that I need but feel I can't afford? Should I have an advisory board? How do I finance growth? The employees that got me to where I am now are not the ones I need to get me to where I need to go. What do I do? CHECK OUT OUR ESTABLISHED SERVICES. How do I know when it's time to sell? Should I invest my free cash back in my business or take it out for personal use? 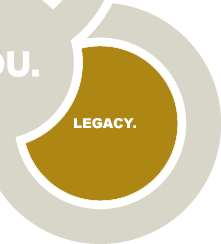 CHECK OUT OUR LEGACY SERVICES. Gerber will assist the individual in those areas which it is competent to advise and will assist the client during the implementation of any recommendations provided. However, within certain disciplines the services required by the client may be beyond the scope of Gerber’s expertise or Gerber may not be licensed to provide the requisite advice. Subsequently, Gerber will refer to other practicing professionals (CPAs, Attorneys, etc.) whose services may be required. Gerber will generally attempt to facilitate the relationship and services of these practicing professionals versus simply referring services. Learn how we'll work with you.